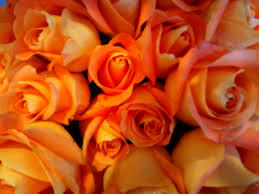 Think about walking into your local florist and admiring the beautiful roses. Wouldn’t it be great to have roses like that every day, waiting for you each morning? There’s no doubt that roses are one of the most beautiful flowers in the world, but they can require a lot work to make them perfect. Follow these quick guidelines to grow your own florist quality roses, right in your own garden. You can’t expect to have a great rose garden without starting with the right conditions. First, choose a spot that gets at least 6 hours of sun, but preferably 8 or more hours. After you have a spot picked out, spread some compost and rose fertilizer over the area, then till the dirt with a shovel or small rototiller. If you really want to do some in-depth preparation, check the pH of your soil. Roses like a pH of about 6.5. If the soil is lower than that, consider mixing in some agricultural lime to raise the pH a bit. When you’re ready to plant, dig a wide hole with a depth that just covers the roots. People often make the mistake of digging very deep holes that aren’t wide enough. Remember: roots grow out more than they grow down, so give them loose dirt to spread through. Roses need a good thorough soaking about twice a week. Of course, if it rains, thank Mother Nature for doing the work for you. 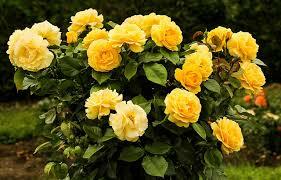 When watering roses, try to only soak the base and ground, not the leaves. Getting the leaves and foliage wet increases the risk of mildew and disease. Once a month, apply a 5-10-5 or 5-10-10 (the numbers mean the amount of nitrogen, phosphorus, potassium) fertilizer to your rose garden. Roses really love potassium, and some gardeners have sworn by throwing banana peels into their rose garden. Pruning is a delicate art in rose care but it can make a huge difference in how often your roses bloom. With meticulous pruning, you can get roses that bloom 4 or 5 times in one season. Throughout the summer, clip off dead roses as soon as you see them, which can seem like almost every day. Removing old flower blossoms encourages the plant to make more flowers instead of using the energy to make seeds. Keep the base of the rosebushes clean and free of clippings and clutter. Bugs love making their nests in dead yard waste, and to use your precious rose bushes as their food supply. Sadly, fall will come and those beautiful roses will go dormant. Stop pruning your bushes about a month before the first frost. This will prevent delicate new growth from dying. To keep your roses thick and bushy, prune about 50 percent of your rose bush down, leaving just the thick, strong branches. While this may seem harmful to the rose and hard to do, it keeps the bushes from growing long and scraggly limbs with few flowers.